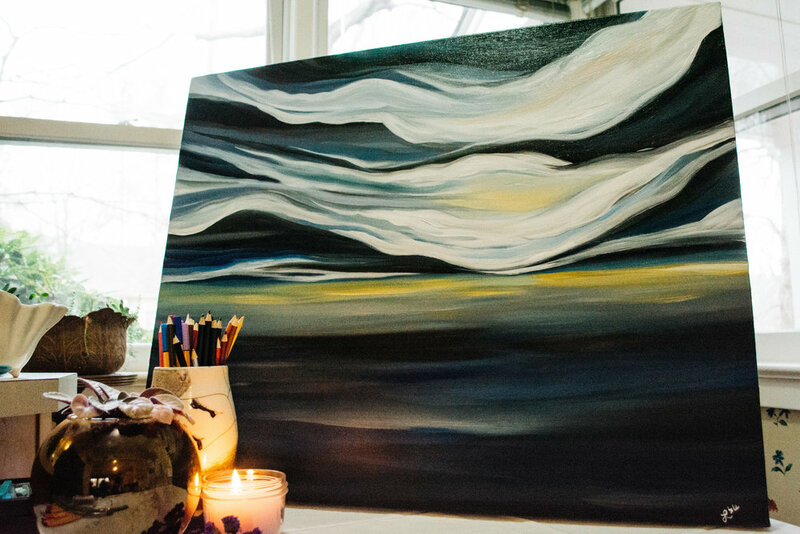 Live painting, retreats, and original art by Lisle Gwynn Garrity. Lisle creates live art for worship, conferences, and private events. Lisle leads creative retreats of all kinds for churches & communities. Commission Lisle to create art, banners, or videos for your church or personal collection. As an artist, pastor, retreat leader, and creative entrepreneur, Lisle works with communities of all kinds across the nation. In addition to leading retreats and serving as artist-in-residence with churches, she is the founder and creative director of A Sanctified Art LLC, a collaborative arts ministry providing multimedia resources for worshiping communities. As an ordained Minister of the Word and Sacrament in the Presbyterian Church (USA), she approaches her work as an artist primarily through the lenses of pastor and theologian. 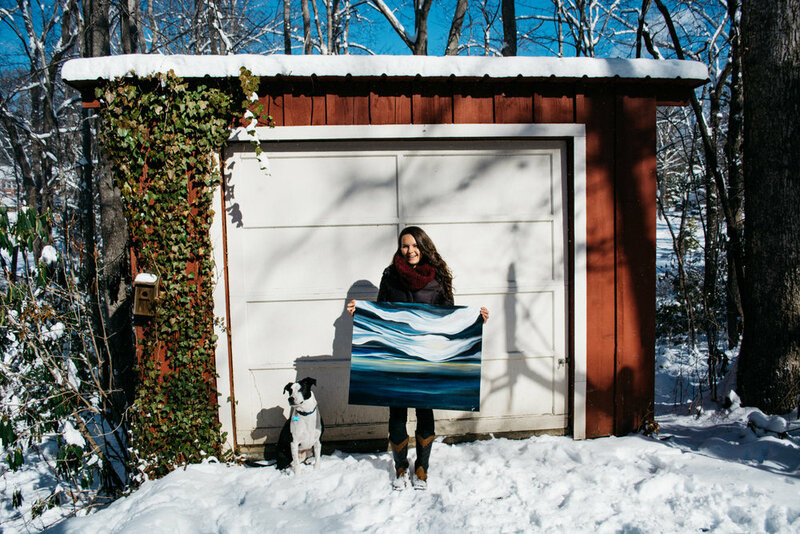 Residing in Black Mountain, North Carolina, with her husband and two wiggly pups, Max and Maven, she has a deep love for exploring mountains, creative opportunities of all kinds, and new ways to be church. Her work and writings have been featured in Reformed Worship, Call to Worship, NEXT Church, and Presbyterians Today. Lisle leads retreats for groups of all kinds (around varying themes), offers live painting for worship and events, and creates commissioned art for churches and individual collectors. Interested in working with Lisle? Download this info pamphlet to learn more about the services she provides. "Paint the truth, but paint it slant." Inspired by Emily Dickinson's famous line, "Tell the truth, but tell it slant," this phrase encapsulates Lisle's unique painting style. 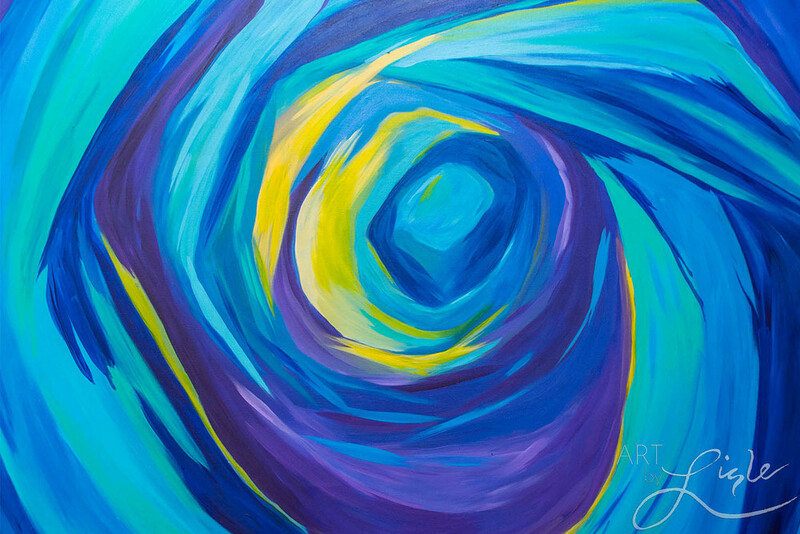 She is drawn to natural and abstract imagery to evoke the mystery and depth of approaching faith with eyes wide open. Her works illuminate scripture through the emotive power of color, light, movement, and simple forms. Shying away from literal imagery or mere illustration, she paints to create space for viewers: space to imagine, space to reflect, space to feel, space to breathe. Creating most of her work "live" in spaces of worship, Lisle considers the creative process a sacred journey best shared with others. "I'm most interested in the space between the real and the imagined. I don't really aim for exact rendering, but I also can't work entirely from inside my head. Each stroke is a conversation between the two extremes." Rev. 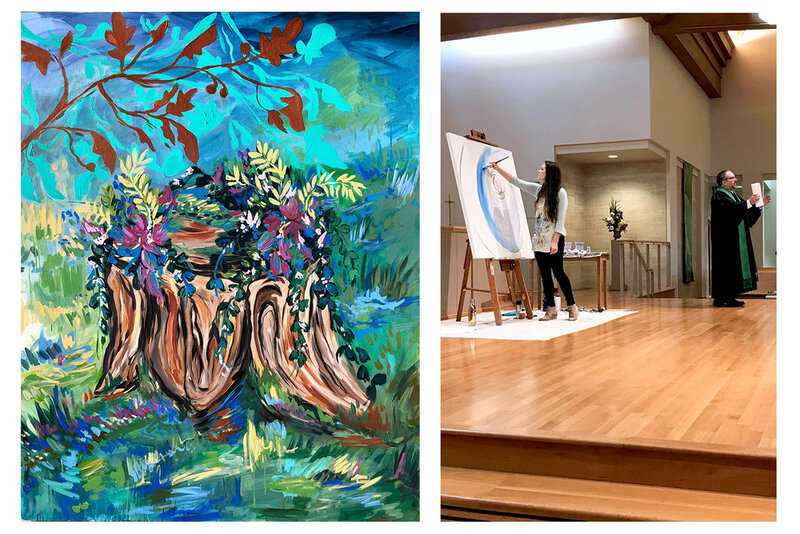 Lisle Gwynn Garrity visits Second Presbyterian Church to share her art in an engaging experience as the Second Family takes a look into art and worship, the fifth part in the Beauty for Ashes series. Sanctified Art founder Lisle Gwynn Garrity, in her preferred 'state of being' (messy hands), in front of her live painting and banners, created during worship and art retreat at St. Mark's Presbyterian Church in Tucson, Arizona. 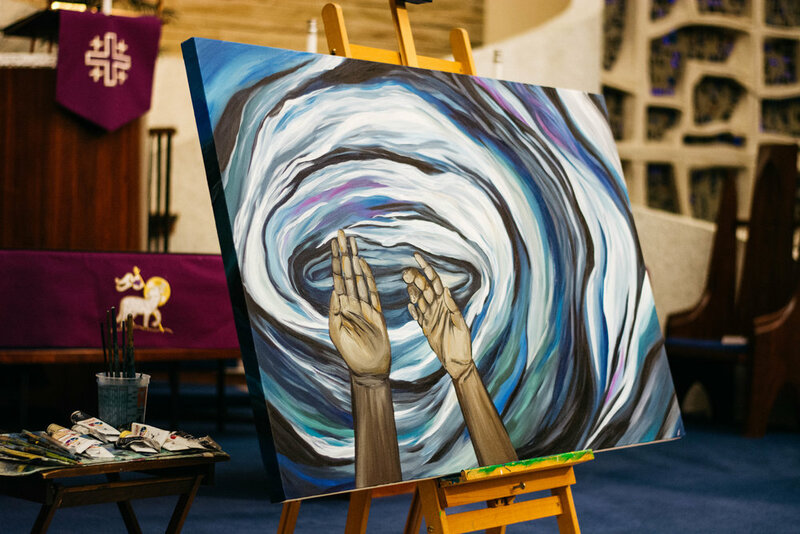 She leads weekend art retreats and offers live paintings during worship in congregations around the country helping them 'visually proclaim' the word. Hear what artist Lisle Gwynn Garrity has to say about seeking beauty in her process, and what Radical Beauty means to her. 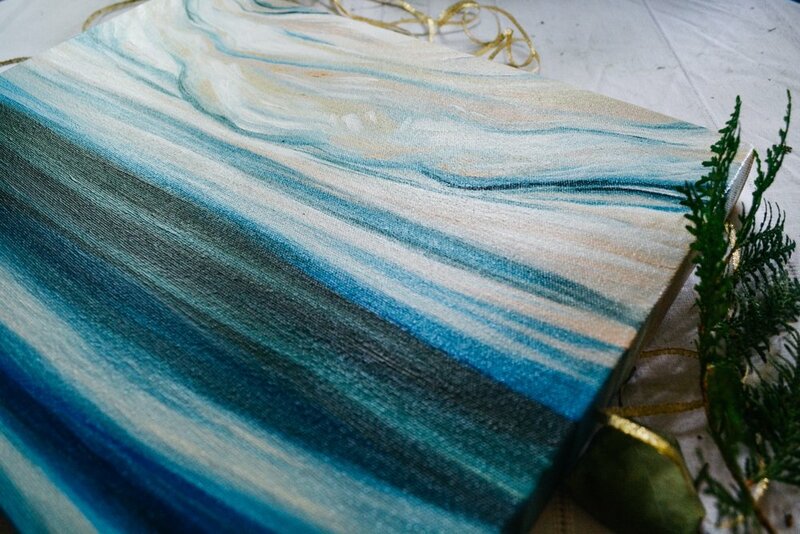 Sign up to receive periodic updates on new art and thoughts on creativity and faith. Thank you so much for following along. It is an honor to have your support.